Anyone can do it if you report well to beginners. This guide is tralsted from Korean. Just for sharing purpose. You are at your risk. 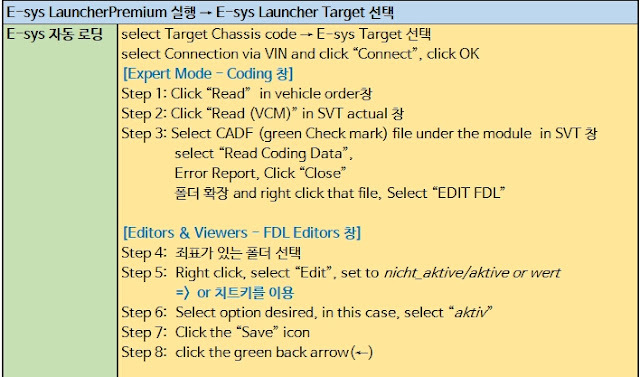 ※ There is a paid version E-sys Launcher Pro version, but if you are coding only my car, it is enough for Premium version. To code a vehicle, you need to have the data for that vehicle. 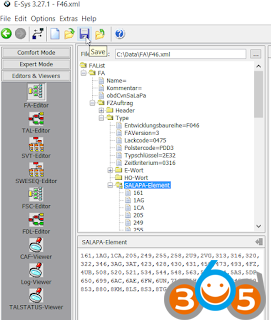 The coding data required for F, G, and I series is called Psdzdata (or SDP). – Lite (for coding), Full (for programming) → Lite version is used for coding. 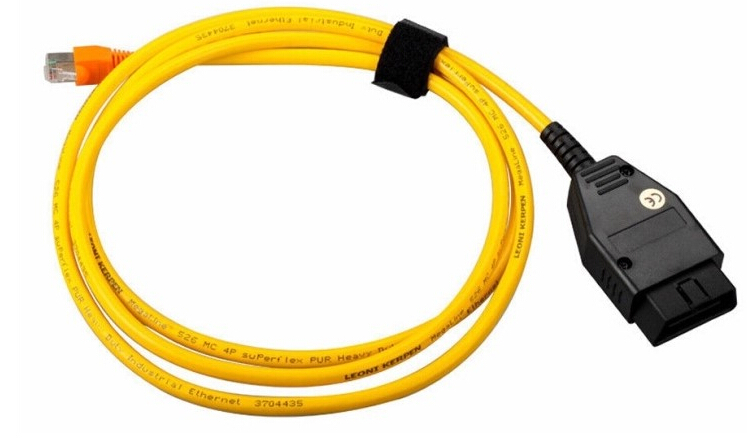 The cable (interface) for connection with F, G, I series vehicles is called “ENET cable“. 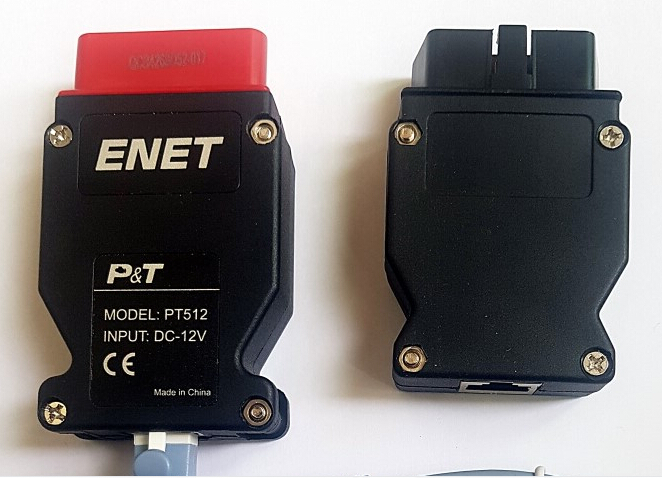 ※ BMW ICOM is a little bit specialized, but E-net cable is enough for coding only. Run the E-sys LauncherPremium to proceed with the coding. Useful program to know the contents of NCD / CAFD file, comparison, FA, etc. If you want to study about other coding, please refer to the forum. 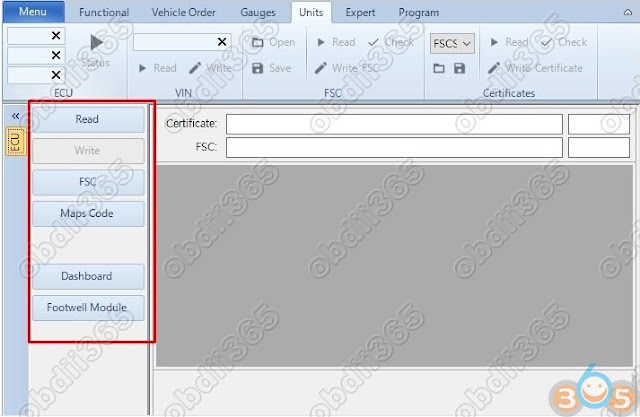 This entry was posted in Car diagnostic tool and tagged BMW coding, BMW ENET cable, E-sys on July 20, 2018 by obd365. Once you have your car Cruise Control switch physically installed, you will need to activate your Cruise Control feature in your BMW through “VO coding”. Note that the procedure is also applicable to enable “Enhanced Bluetooth” feature or other VO code procedure. The modules that are required to be coded will be different though. For example, “Enhanced Bluetooth” will require HU_ENTRYNAV module only. 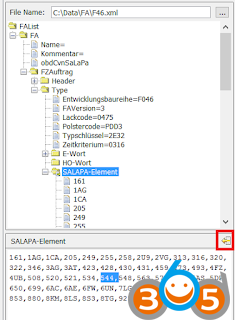 3) Add the value “544,” into the SALAPA-Element and click the “Save” button on the right as highlighted. 4) Click the “save” button to save the file into a XML file with your desired file name. 5) Go to “VCM” section and load the same XML file that you had saved. 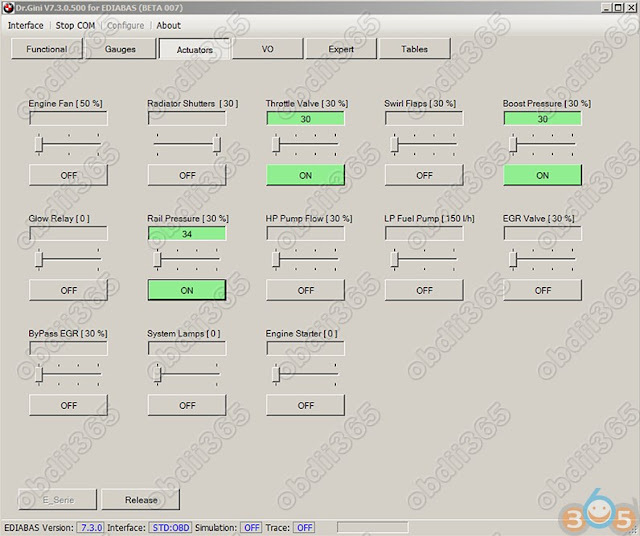 6) Right click “calculate FP” and you will see the Vehicle Profile generated. 7) Click the “Write FA FP” button which will writes into your ECU memory. 9) Go to “Coding” section, click “Read ECU” button on the right and then right click on the above-mentioned modules and select “Code”. This will enable the settings required for your Cruise Control. Note that the engine need not be switched off for this operation to work successfully. 10) Test your Cruise Control switch to ensure that it has been enabled successfully. 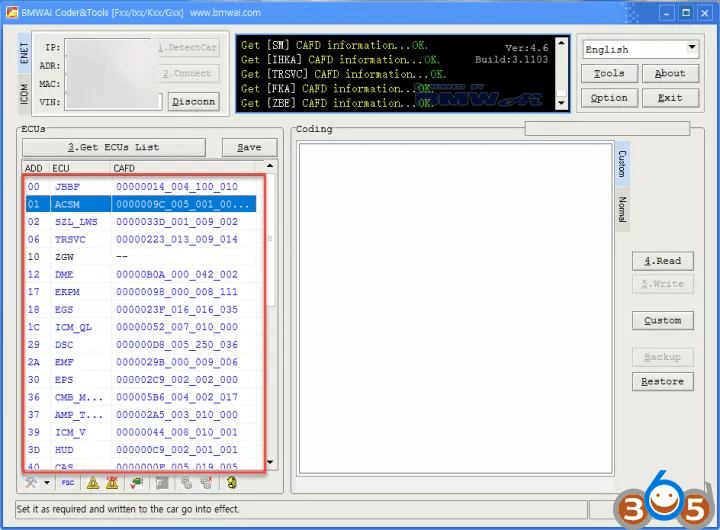 11) It is recommended to remove the VO Code after the coding has been performed. 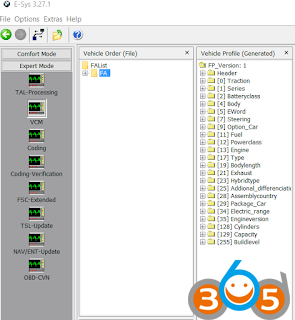 This entry was posted in Car diagnostic tool and tagged BMW coding, BMW ENET cable, E-sys on April 28, 2018 by obd365. 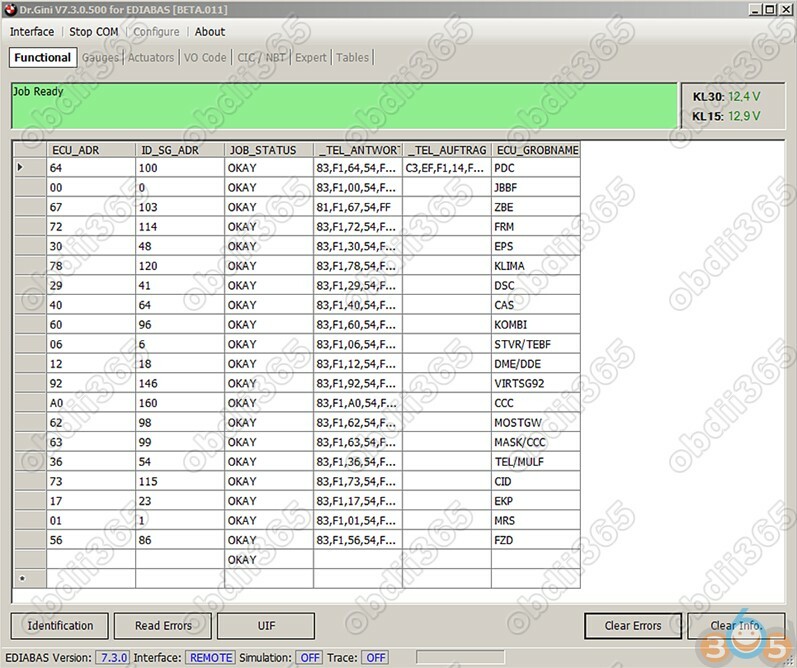 We have discussed Dr.GINI B020 version software in detail in previous post. Here you can download newer B021 version for free. Note: B021 is not the latest version, latest B022 is not for free. Latest BMW ICOM HDD also comes with free Dr.GINI engineering software. The friend who made this is called Dr.GINI. The advantage of this program is that can be used on both E-series and F-series. The friend is great,but sometimes this tool is likely to be paid. Module in error is shown in red, click “Clear Errors” in the bottom right corner. You don’t have to turn Rheignold to try to delete the fault code. Map update FSC code generation. Generate fsc code to update CIC/NBT Map. It seems that a small program is integrated with a clear function. 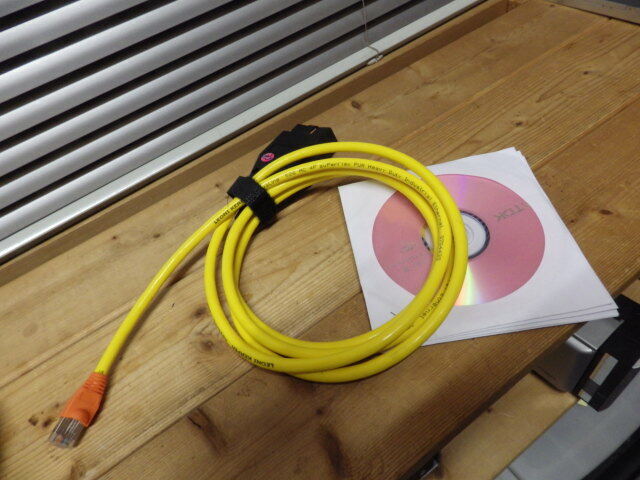 This entry was posted in Car diagnostic tool and tagged BMW coding, BMW ICOM, Dr.Gini, Dr.GINI B021, ENET cable on March 31, 2018 by obd365. If you have Standard tools 2.12 you are fine. You can only run INPA or NCS one at a time, not simultaneously. Also, sometimes mine gives me that error. It’s usually because I didn’t initialize the USB cable properly. Unplugging it, closing NCS, plugging it back and restarting NCS usually solves my problem. you are missing some files for E65 at sp-daten. 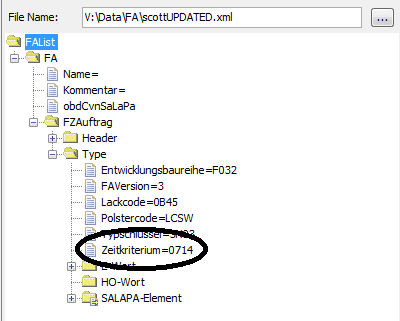 Try to download newer spdaten and copy at least e65 folder or update whole data. INSIDE THE (MAN) ONE DELETE ALL THE VALUES INSIDE THEN SAVE AS.MAN SO FSW_PSW.MAN MAKE SURE SAVE AS ALL FILES OTHERWISE IT WOULD SAVE ONLY AS PLAIN TEXT. All above solutions are shared on BMW forums; never know he/she is the professional or amateur. So, YOU ARE TRYING EACH SOLUTION ON YOUR OWN RISK. This is roughly how it works… and my dummy interpretation of it. Please read it fully if you want to understand, this isn’t exactly a quick cheat sheet guide. On Pre ’02 cars the coding is slightly different method than Post ’02 cars. I am only going to elaborate on coding individual parameters, you can go learn how to code entire modules thru the VO later once you learn the basics below. The first part to understand is what this stuff about ZCS/VO or “vehicle order” is. 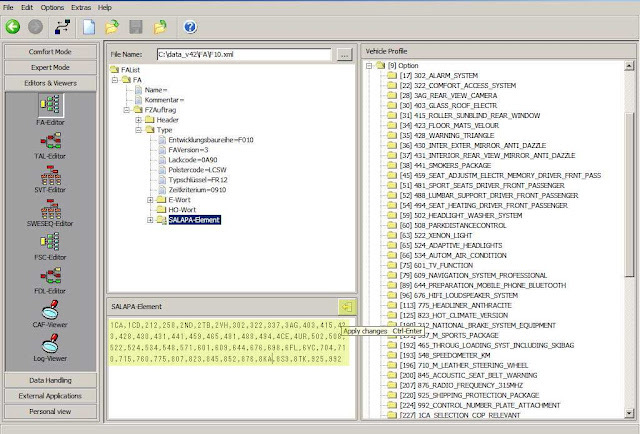 When BMW makes a car, they create whats called a “vehicle order”, this is basically a bunch of numbers written into the car that tell what modules are installed in the car, regional info etc. This is like your car’s DNA! for example if the car has a sunroof, or a convertible or radio etc etc and that it was meant for US,Canada,France etc. Because each car is different with a different set of options/modules or country that its located, the “vehicle order” aka. “ZCS” or “VO” may be different. Why is it called ZCS you ask? because its abbreviated german, and its confusing as hell. OK the one difference is pre-02 cars don’t have a VO. Those cars have their ZCS (which acts like a VO) stored in the EWS or KMB modules. The stuff below is basically identical however for individual parameter coding. 1. 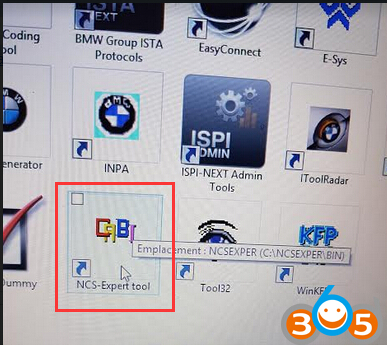 When you load NCS expert, you need to load a profile. These profiles just change how ncs expert behaves when you read your car. The two profiles i stick to are “expertmode” and “revtor’s expert profile”. if you don’t have it, you can find it on the net easily. 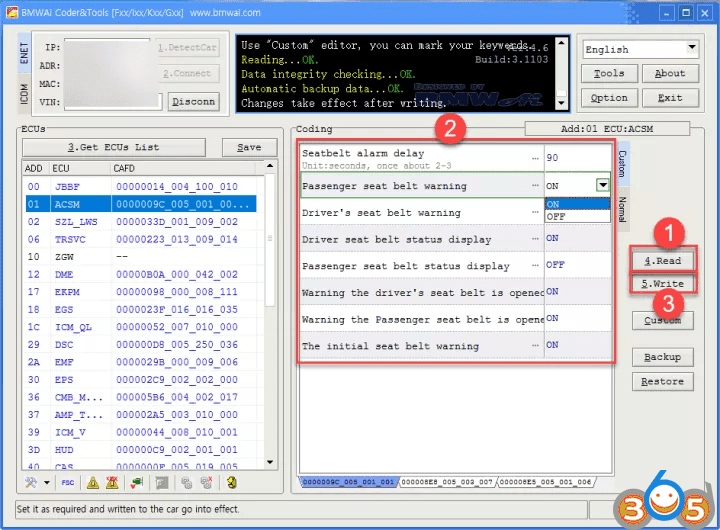 In order to code your car the first time, you should pick “revtors“. This has something called “manipulation” enabled… ill elaborate on that later. 2. 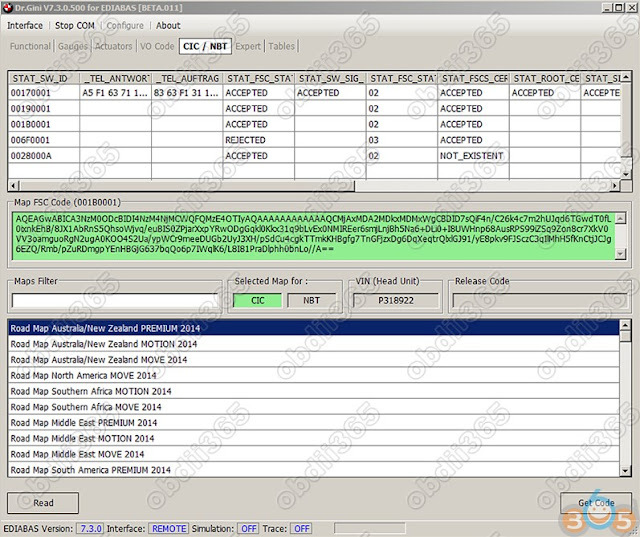 Once the profile is loaded, you basically need to select Vin/ZCS/FA in order for ncs to download VIN info off your car. Once it does this, it will ask you to select a module. Why? because it needs to know your “vehicle order” information. In most cases it will probably be in an “A” module. if it doesn’t load, or cant be accessed, no harm done, just try a different module. When it is able to read it, you will see a long string next to “FA” starting with your chassis “E46_” followed by numbers and text along with #’s and $’s. This is your VO. Now that NCS Expert knows it, it can code your car properly! CODING HAS NOTHING TO DO WITH THE MODULE YOU JUST SELECTED TO READ THE VO FROM! This perplexed me for the longest time, I didn’t understand why i selected two modules each time, or what the difference selecting AKMB or ALSZ or etc the first time was. Well… It has no bearing!! all NCS is doing is reading the text/number string that is your VO off the memory in these modules in this first step. You will actually select the desired module to code in later steps. NCS at this point is set to SG_CODIEREN, which means to WRITE to ALL modules listed. You don’t want to do that. 6. 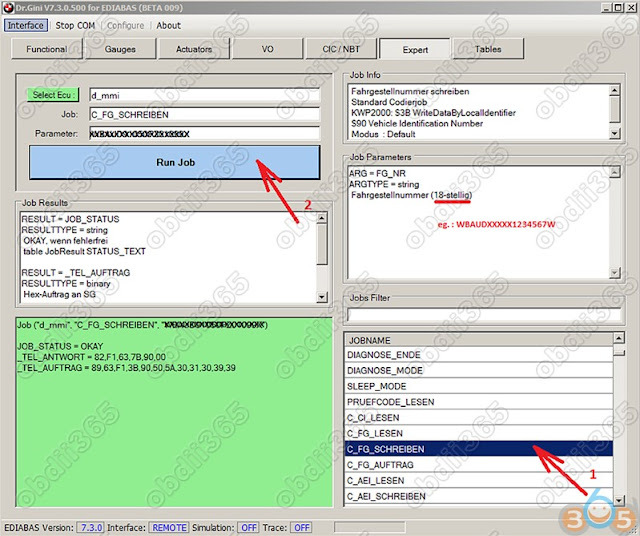 Once selected it will confirm this by indicating the module and job type on the screen. Now you are ready. Hit “EXECUTE JOB”. It will say Coding Activ, then Coding Ended. This is what we want, the coding of your LSZ module that we read earlier. IMMEDIATELY save a backup of this file, rename it to FSW_PSW_LSZ_ORIGINAL.TRC and save it somewhere in case you decide you want to revert to the original copy. Now I want you to resave another copy of this FSW_PSW.TRC file as FSW_PSW.MAN (manipulation…hint hint). 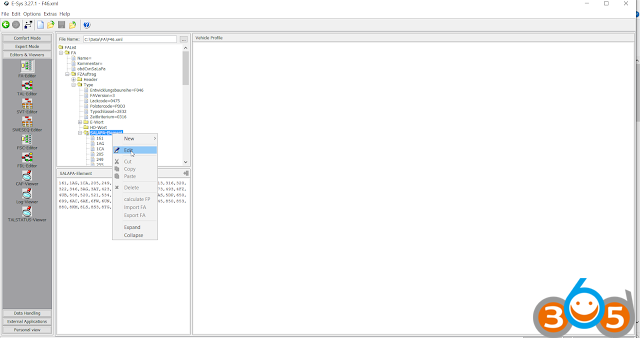 Make sure it doesn’t save as FSW_PSW.MAN.TXT or some crap like that, it wont work properly. This is what the above looks like if translated. Now you can see how we can deactivate/activate certain things. I’m going to deactivate DRLs here. By changing to nicht_activ, it deactivates this setting. Now don’t go crazy, some codes are redundant so changing just one thing wont do the trick. This takes some time and effort to find the right code/codes to work with. Viola! Thats it. You are now an expert on coding individual features! Now what do you do if you screwed it up or something is behaving funny and you want to go back to original settings. Or you cant remember all the stuff you changed, or don’t like the results. 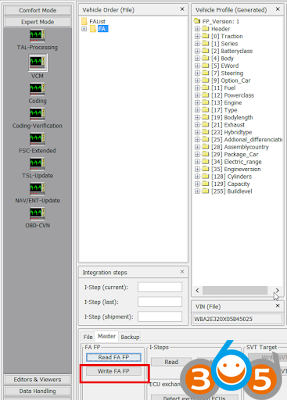 This entry was posted in Car diagnostic tool and tagged BMW coding, INPA, NCS Dummy, Ncs expert on February 1, 2018 by obd365. BMWAiCoder is a program that makes this entry barriers lower and easier to code. 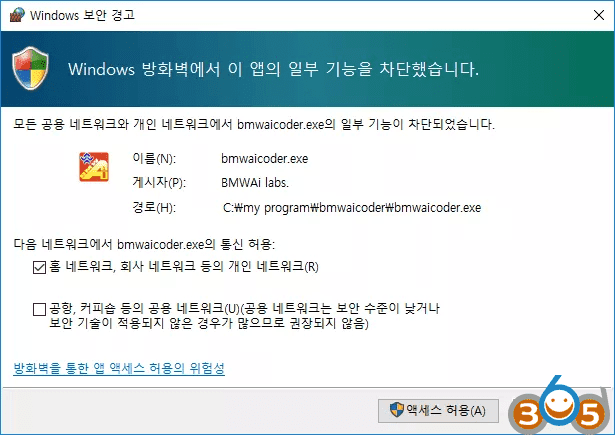 Just install BMWAiCoder and you can start using it in English, but each button has a number so you can easily code it by following the steps. However, it has a disadvantage in that it is limited in functionality and less stable than E-Sys. In addition, since the 4.6 version is no longer being updated and the author does not seem to be willing to update, it is better to use it to fix some coordinates quickly and easily, rather than using it as a full-blown coding tool. If you want to cancel the modification and return to the original value, click the Restore button. This entry was posted in Car diagnostic tool and tagged BMW coding, BMW ENET cable, BMWAiCoder, E-sys on December 14, 2017 by obd365. After reading all the coding below, wait a while before coding! Please back up and restore your data , and proceed with the coding while you are backed up !!! Note: The guide was translated from Korean. Credit to Mr.JIHUNX. If you are ready to install all the coding programs and the coding cables, we will start coding in earnest. The coding is roughly done in the following order. It would be easier to understand the following outline after drawing the overall outline first. Connect your car and laptop to each other with a cable. Download coded data from my car to my laptop (eg download the data set to ‘Beep if the seat belt is released!’). Upload the coding data you saved to my computer to the car. First connect your vehicle and computer with the BMW ENET cable . And turn on the vehicle start . If the vehicle is powered off when the coding can be communication is lost in the middle of coding, we recommend that you turn on the ignition coding. However, off the case of a DME / DDE module startup supposed to be (ACC On) Turn on the power only in the state code, which is the error How to resolve due to the DME / DDE module initialization , please refer to the article. It is recommended that you do not code DME / DDE modules. If you have connected the vehicle to the cable and started up as above , run the E-Sys Launcher . Choose the code for your car from the Car Series . The code you choose here is a generic code name for your car. In other words, select F010 for a 5-Series sedan and F030 for an F30. Tendeyo it is displayed if the program is executed, the following screen, press the connect button to connect to the vehicle . Press the connect button to display the connection setting screen. You must select Target and Interface here . 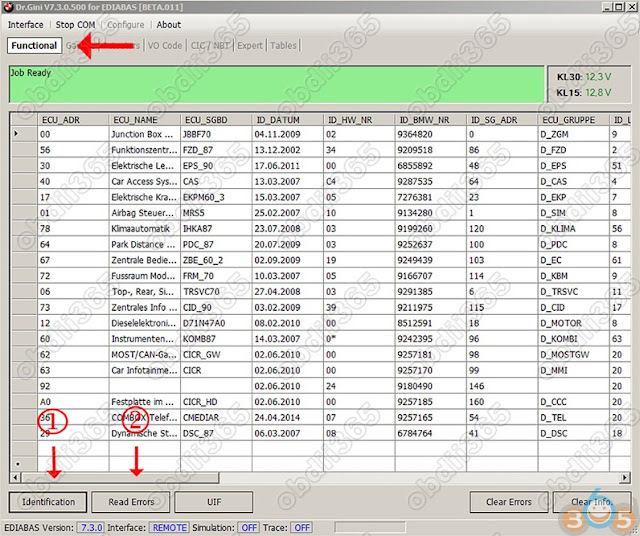 Code Name and E-Sys Target when usually call the model number of the vehicle may vary. Please check the E-Sys access code I have uploaded and select the correct Target. 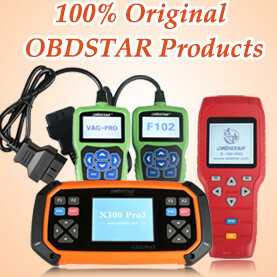 If there are several F010s as below, you can choose the one with the latest version of Direct. Usually the latest version is at the bottom of the list. In the Interface, select Connect via VIN . Select Target and Interface and press Connect button. If the vehicle is normally connected, the following message will be displayed. Click OK to close the window. 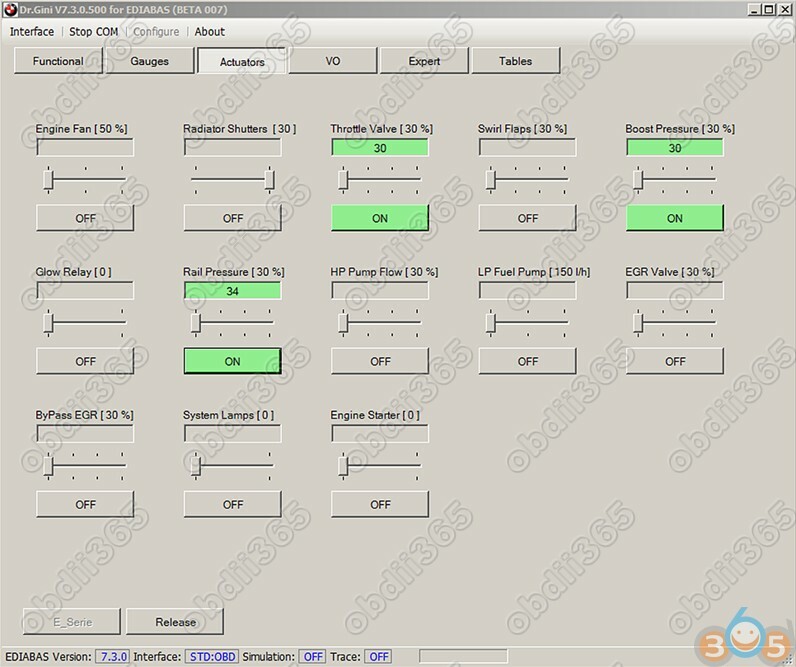 On the left side of the program screen, if Expert Mode is not selected, select Expert Mode and select Coding . Click the Read button in Vehicle Order. 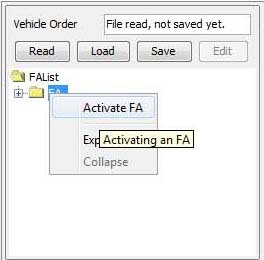 Right-click on the FA folder and select Activate FA . Press the Read SVT button on the right side of the screen . The modules of the car are displayed in the SVT area. As an example, let’s show you how to modify one coordinate. I want to change the coordinates of KOMBI the coordinates to the HUD_SPRACHEINGABE_ENABLEvalue of aktiv. First locate the KOMBI module in the SVT area, select the CAFD with the green V icon on the left side of the KOMBI submenu, click the right mouse button and select Read Coding Data. When you read the coded data on the vehicle, the following message will be displayed. Close button to close. CAFD will be changed to a folder, and another CAFD list will be created under it. Select the list, right-click, Edit FDLand select. The FDL Editor screen will open . Enter coordinates in the search bar to find the desired coordinates . You can find some of the keywords by typing them without having to type in all the coordinates. I found exactly the coordinate I wanted. Let’s expand the folder of coordinates and change the value that this function now works. Expanding the Ausgelesen folder has nicht_aktiva value of. This value is the setting value of the existing function aktiv. To change this value to , press the right mouse button and press the Editbutton. This will bring up the select box so you can select a value, then aktivselect it. For some coordinates, you may need to enter a value directly instead of selecting it as above. 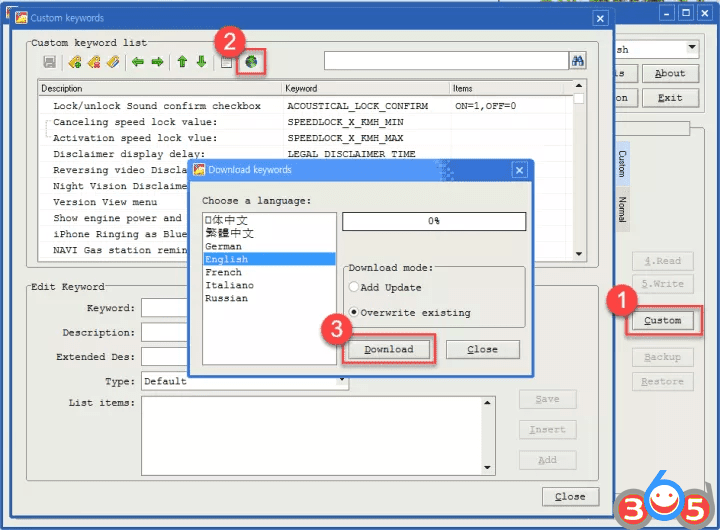 After selecting Edit, Values from ECUenter the value in the lower area of ​​the screen and then click the Exit button on the right of the screen. If you modified the value well, the save button at the top of the screen will be activated. This is not the step of storing the value in the vehicle, but the step of temporarily saving the value to the current computer. 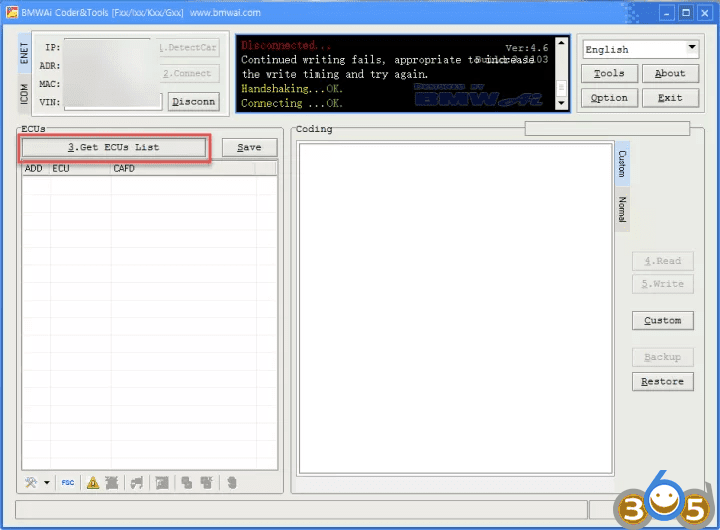 After saving, press the Back button to exit the FDL Editor screen. Now it’s time to transfer the coding values ​​you temporarily saved to your computer to the vehicle. Code FDLButton. Note: CodeThis is a button, not a Code FDLbutton. CodeButton is a button that initializes the coding. I am transferring modified coding data from my computer to my car. A message will be displayed indicating that the vehicle has successfully transferred the changed values ​​and completed without errors. 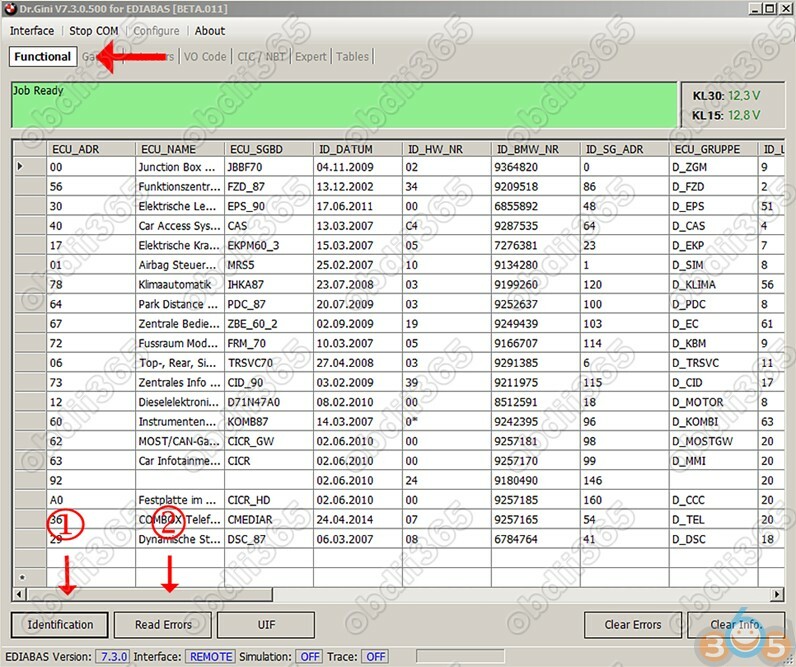 Report 0 errorAnd if there is an error, there is a problem during coding, it is recommended to return the modified value to the original value. The coding is finished. Please make sure that the value you just edited is correct. There is no procedure to terminate the coding separately. Normally, the connection button that is clicked before will be changed to the disconnect button. Pressing the button or disconnecting the BMW ENET cable is not a big problem. This entry was posted in Car diagnostic tool and tagged BMW coding, BMW ENET cable, E-sys on December 6, 2017 by obd365. First of all, I will tell you the sad news that this crack program can not be applied to the latest version of Launcher. We confirmed that it works normally in version 2.5.3, so it seems to be applicable. 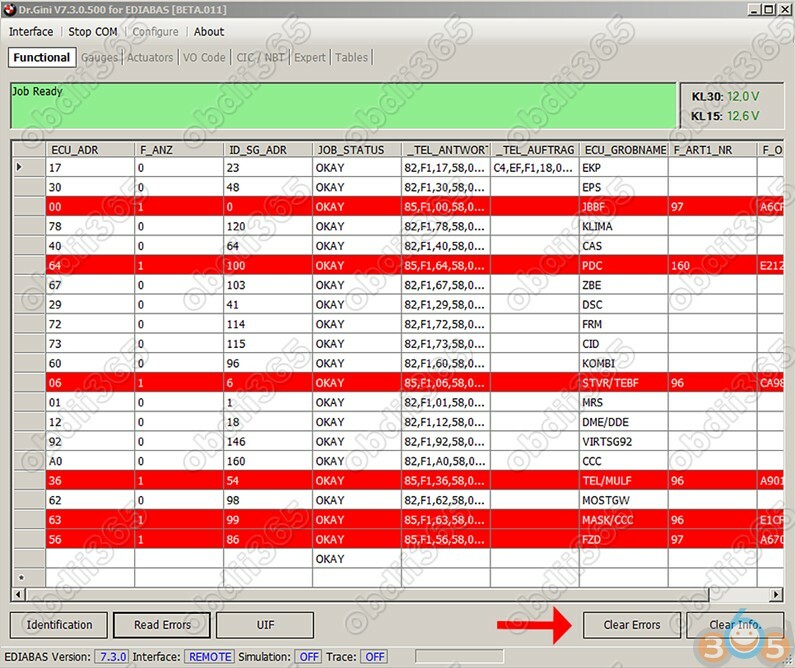 If you do not need to use the latest version of E-Sys coding software, it will be a valid program. If you use 2.6.2 and delete it and install 2.5.3, it will not work. I have tested 2.6.2 on my computer and it did not work when I tried to install 2.5.3, and after installing a new 2.5.3 on my virtual machine, it worked. Run the program after downloading it to any folder. Click the ‘Restore Launcher’ button at the far left. Then pop up like below screen. 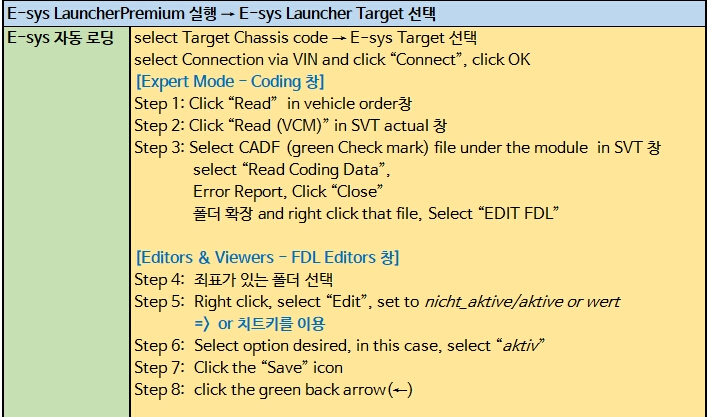 There is no recovery point for E-Sys Launcher Premium. 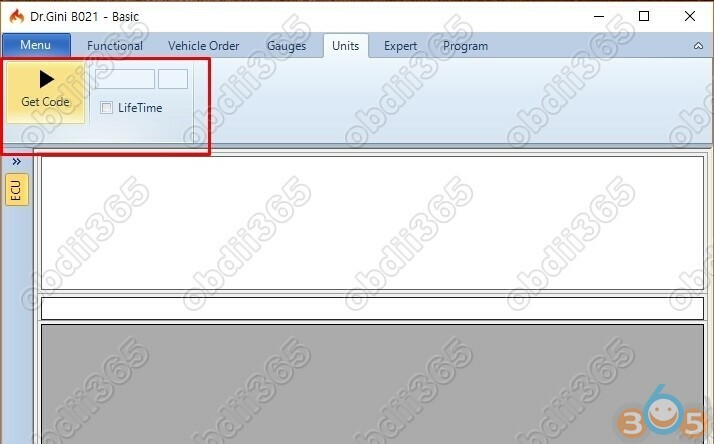 It seems to be the principle that after storing the point before the change of the car model as the recovery point, it will use the previous recovery point even after changing the car model later and use it without changing the date. Execute all the steps below. A. Change the system date to today’s date +3. B. 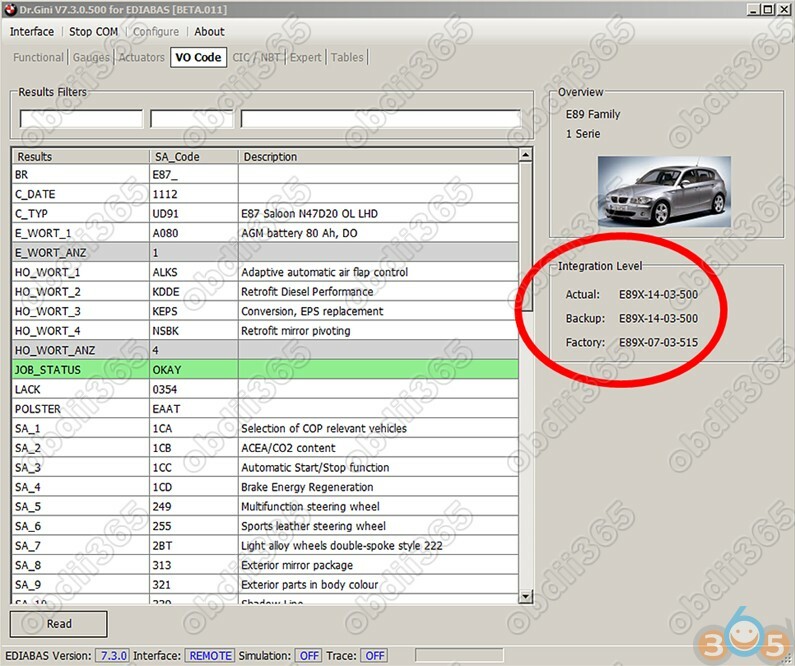 Launch E-Sys Launcher, and select your car model. Keep Launch untouched! C. Change the system date to today – 3 days old. D. On the E-Sys Launcher, click the Launch Now button. E. Exit after E-Sys is executed. F. Returns the system date to today. G. Click the OK button. A message is displayed that the recovery point was created successfully. This entry was posted in Car diagnostic tool and tagged BMW coding, BMW ENET cable, E-sys on August 18, 2017 by obd365. Dr.Gini is a program used to diagnose BMW cars. 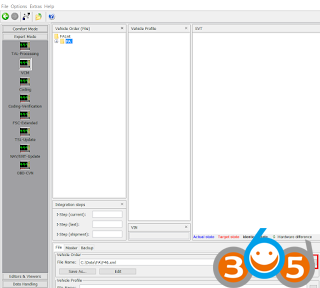 First, I will explain how to download and install Dr.Gini. When you have finished downloading, the entire folder and files are organized as shown below. I did not capture the screen during the installation, so I will briefly explain the article. In order for Dr.Gini to work, a program called Ediabas must be installed. EDIABAS_*.*. *.msi Run the file from the EDIABAS folder to install the Ediabas program. Folder There is also EDIABAS.zip file. It seems that when unzipping, the same files are installed. I do not know why I put the installation file and the compressed file, but I guess that it is for both the person who installs it and the person who wants to install the portable. I installed it as an msi file and it worked, so I will tell you how. It is recommended that you do not change any settings during installation. Because it will be connected to Dr.Gini ENET cable INTERFACES > ENET Ediabas.INIin the folder EDIABAS.INI, copy the file C:\EDIABAS\BINto overwrite the folder. API32.DLLYou need to api32.dllcopy the files in the folder to the folder below for each operating system. 6. Final step. Copy the Gini_B020.exefile to a C:\EDIABAS\BINfolder. Sometimes a Gini_B020.exefile is recognized as a malicious program and it is deleted by a vaccine program. If you feel that this process is anxious, you can just delete this file. When I tested it, the file Gini_B020.exe is not necessarily a file because it is Dr.Gini B020 version (latest version or not yet stabilized version). Now that you’ve done the installation, let’s try it. 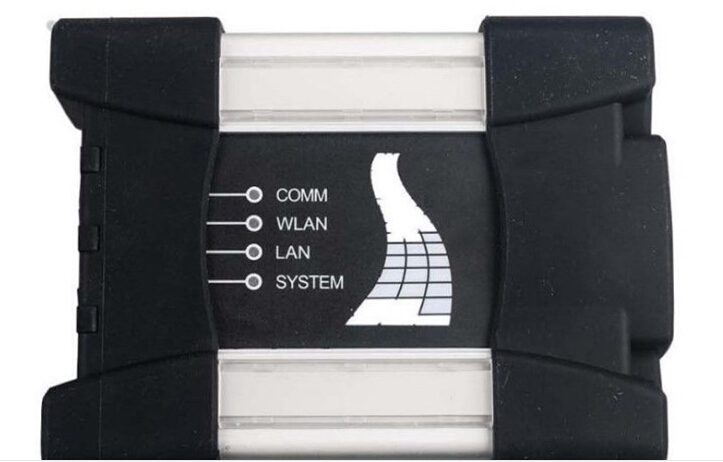 Connect your car and your laptop with the BMW ENET cable. You have to turn on the car, right? 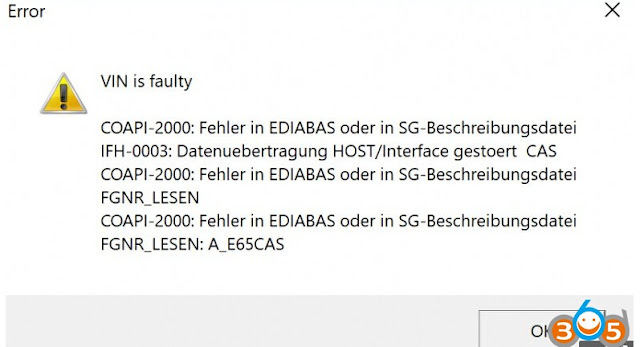 C:\EDIABAS\BINDr.Gini.exe Try running the file in the folder . Gini_B020.exe You can also run Since the two UIs are slightly different, we Dr.Gini.exe will explain them based on a single point. Identification Press the button at the bottom of the screen . Then it will be connected directly to the vehicle (it is incorrect to write the memo). Ever, if not the connection Interface from the menu Interface to ENET try to change. If you are connected, you can use it freely afterwards. In fact, I still have not figured out what the menu is all about. This entry was posted in Car diagnostic tool and tagged BMW coding, BMW ENET cable, BMW ICOM, Dr.Gini on August 15, 2017 by obd365. How to change the turn indicator (blinking) number of the BMW F48 new X1 series five times. I usually change the value of BLINKZYKLEN_ANZAHL_TIPP in the Fem-body or BDC module, but the new X1 does not have this coordinate. After searching, there are some coordinates that seem to be related to it, and I told them to try to make corrections to the owner. The coordinates are stored in the BDC module by using BMW ENET cable E-sys F-series coding software. This entry was posted in Car diagnostic tool and tagged BMW coding, BMW ENET cable, E-sys on August 11, 2017 by obd365. BMW F-series Zeitkriterium or manufacturing date is an important part of most retrofits that enables the use of BMW ENET cable E-sys to recode a module in order to activate the retrofit. For example some F10 models came with halogen lights and most owners want to retrofit the LCI xenon headlights for better looks and visibility. The DRL is also very weak on halogen headlights and that ruins the way the car looks compared to the xenon equipped ones. In this tutorial we will show you how to do it step by step. Click on Save and give the file any name you wish, then click on Edit. 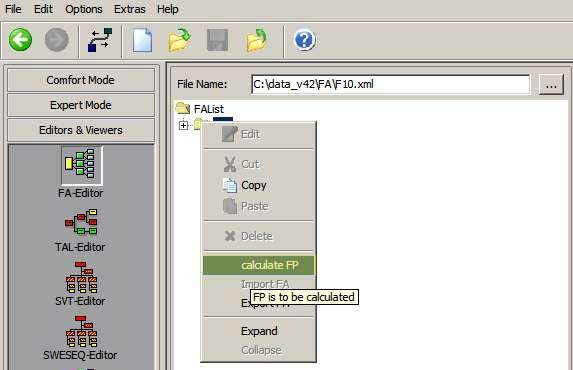 Right click on the FA and click Calculate FP. 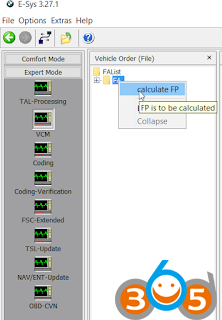 Now that the FA FP has been written to the car you can go ahead and recode your module by going back to the Expert Mode Coding tab, Read SVT to see the modules list, right click on the module name (Ex: FRM) and click on “Code”. Wait for the process to finish and you`re done! This entry was posted in Car diagnostic tool and tagged BMW coding, BMW ENET cable, E-sys on March 17, 2017 by obd365.